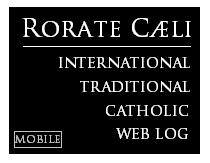 RORATE CÆLI: Silence? No, it seems the Bishop of Rome has gone insane: Medication may be needed. Silence? No, it seems the Bishop of Rome has gone insane: Medication may be needed. I read it and sincerely I must tell you, and all those who are interested: read it yourselves carefully and make your own judgment. I will not say a single word on this. And yet, since his return, if there is one thing he has not been is silent. On the contrary: every single day, in his homilies at the chapel of the Santa Marta hotel where he lives, he has over and over made clear that, on this matter, he is the innocent Jesus, and everyone else who asks him questions on his mishandling of the McCarrick affair is "the Great Accuser", aka, Satan. He first started with homily after homily completely unrelated to the readings of the day making clear that "Jesus" was silent in his trial (which Our Lord was, but not always, and always with the right interventions for each audience), and that "the Great Accuser" was the cause of trouble, both for the silent "Jesus" and for those who are silent in the Church. 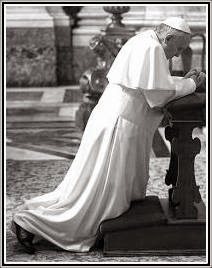 The gall of comparing Our Spotless Lord to people who were and remain silent in the defense of sexual abusers never crossed the mind of the Roman Pontiff.